DAVID LE/Staff photo. 3/14/15. 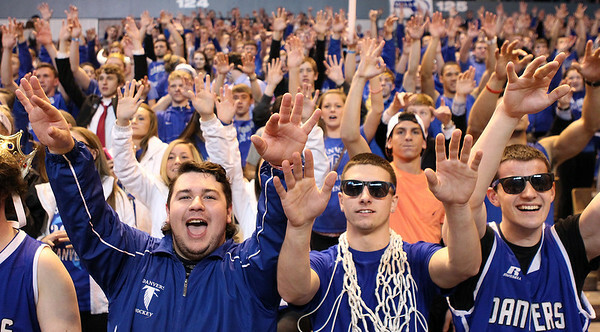 Danvers seniors Alex Taylor and Robert DiStefano, left, and junior Patrick Cunningham put their hands in the air for a Falcons' free throw attempt at the end of the D2 State Championship.